Maintaining your beauty and grace in the modern day life is a primary prerequisite as you have to look presentable everywhere whether it’s in office, party with friends or some family occasion. And, wigs are the new favorites if you are losing hair or just love to try out new fashion every now and then. Today, there are broader variations of wigs that you come across while buying wigs from wig stores. However, the Synthetic Lace Front Wig products have gained in popularity immensely over the decades as more people using wigs have come to realize their advantages. Here the lace is placed in the front and that's why it's called lace front wig. The uniqueness of the lace front wigs is that the lace part in the front looks exactly like the natural hairline of the wearer, which gives this synthetic wig a natural look and feel. 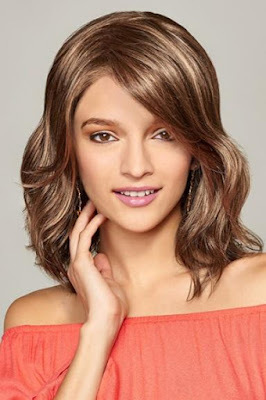 • Undoubtedly, wigs have become popular with people suffering from hair loss prematurely and in this case, lace front wigs render a more realistic appearance as the strands of hair in the wig are attached strongly to a cap comprising of sturdy lace fabric. The good thing is that the fabric is barely visible to naked eyes. In this regard, Kendall Wig with a myriad of colors to choose from is an amazing product that you will fall in love with the moment you set your eyes on it. This is primarily a lace front wig with a monofilament top. 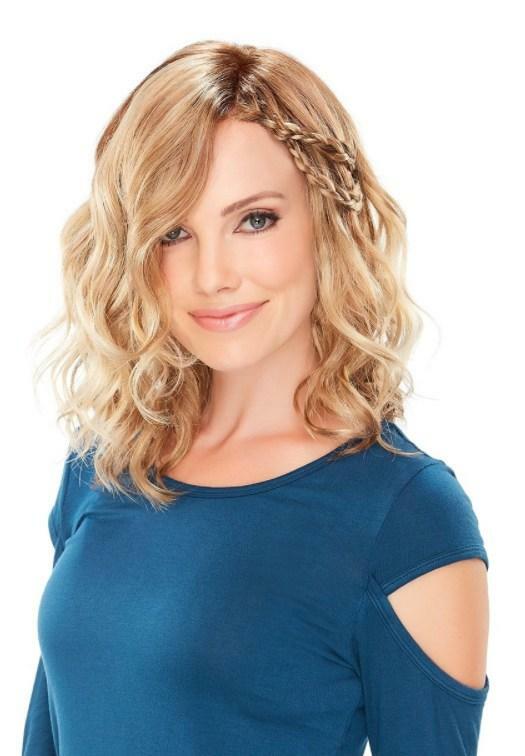 This is one of the popular wigs for women among the Margu collection that simply transforms your look and makes you appear younger. • Lace front wig is the best option if you are looking for something to render that much-needed flexibility in your life. The imperceptible wig cap makes it easier to make parting in your hair, apparently on any side, without having to worry about the base of the wig becoming visible to others. The frontal portion is mainly made of lace while the back is made of a thicker material. So if this is something you are looking for then Raquel Welch’s Crowd Pleaser wig is the one for you. It is a heat-friendly Synthetic Lace Wig that's also identified as Monofilament Part Wig and they simply change your appearance to someone stunning and dainty. • Lace front wigs for women should be comfortable to use and if a wig is uncomfortable to wear on a prolonged basis then it's probably not the right type of wig as it doesn't allow breathing space for the scalp. And, Gabor wigs is something that fits this purpose right. Their Soft & Subtle Wig collection is sure to take your heart away. They look perfectly natural and don't make you feel uncomfortable. These are deep lace front wigs rendering low density. Their ultra-thin adjustable elements add to your comfort while this type of wig apparently fit a variety of face shapes. Similar Wig: How To Deal With Hair Loss During And Post Chemotherapy? • Going for cheap wigs do more harm than good to you. Instead, the quality branded wigs made of high-end materials are the wigs that you should be going for. So one such wig that can serve you well is the Hudson Lace Front Wig, which is all about style, elegance, class and of course quality. You can choose from a myriad of different hues and each of them is capable of making you look like a diva. Read More: Here Are The Different Types Of Hair Extensions That You Need To Try This Season! • When it comes to comparisons between the synthetics and reals, Mila Petite Smart Lace Wig is a brand that can give tough competition to Real Hair Wigs anytime and this is perfect if you are more inclined towards power play while maintaining a subtle softness to your persona. So it’s time to give heads-up to your favorite Synthetics. No! They aren’t noticeable if you opt for good quality ones. Now finding your favorite wigs for sale isn't a nightmare anymore as the leading wig stores with their online collection is an absolute delight for wig users. Just make sure you make the right choices!